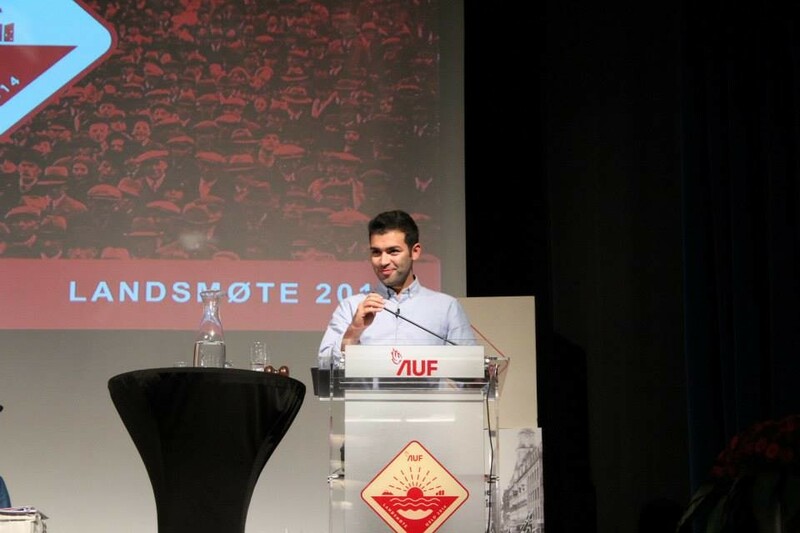 Mani Hussaini (28 years old) is the leader of Workers’ Youth League (AUF), the youth division of the ruling Norwegian Labor Party. He was born in Syria but fled the country with his family in 1999, when his father was chased by the Syrian intelligence services, The Mukhabarat. Back in Syria, Mani’s father, as a Kurdish journalist, hosted political meetings in his house to discuss the rights of Kurdish people in Syria, which was looked on with suspicion by the Syrian regime and its Mukhabarat. 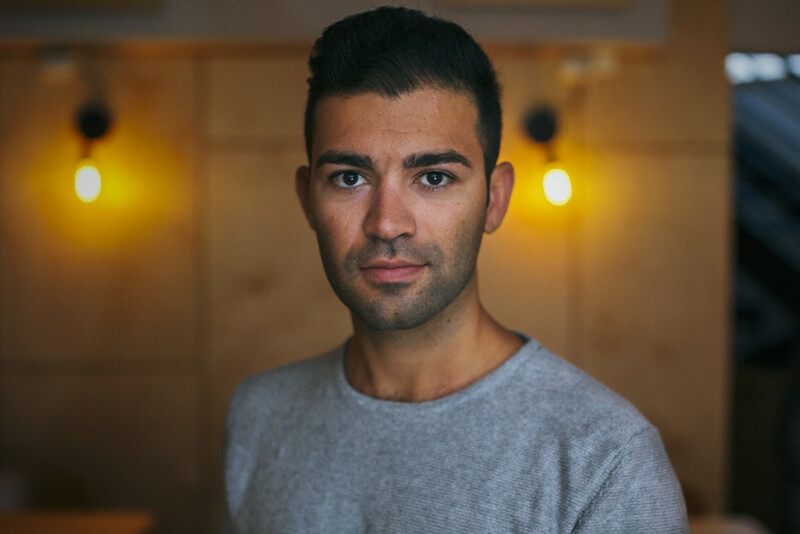 Mani’s position is very inspiring for any Kurd who has been displaced from his native country and wants to become a part of his adopted homeland, he is not only engaged perfectly with the society in Norway, but he also became a powerful element in it. Mani, when was the last time you were in Syria? And what were you doing? It was in 1998, when we lived there. Since the day we fled, we have not been back. Did you join any Kurdish political parties when you were still a young boy in Syria? No, I was just ten years old. However, my parents had many political meetings in our living room. They invited friends and family to political discussions. 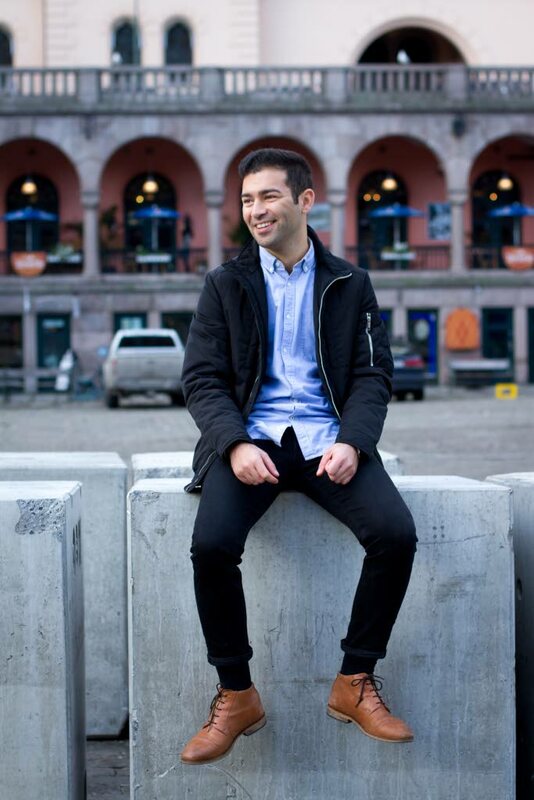 What did you feel when your family were finally granted asylum in Norway? It was obviously a great feeling when the family got asylum and we then could start a free life in one of the best democracies in the world. How did you engaged so perfectly, I would say, in the Norwegian society? Norway is a land of opportunities and it’s based on the notion of equality and equal opportunities for all. Societies that are built this way give everyone a chance to succeed, and that was the case for my family and me. Did your father’s political activities in Syria motivate you to be involved in politics in Norway? How? I grew up with politics every day especially with discussions around the dinner table. My father’s work has clearly motivated me to always think politics, but it was not the reason why I became politically active. In many ways, my political commitment was by chance; a friend introduced me to AUF and it struck me that all these young people wanted to change the world and thought they were able to do just that. 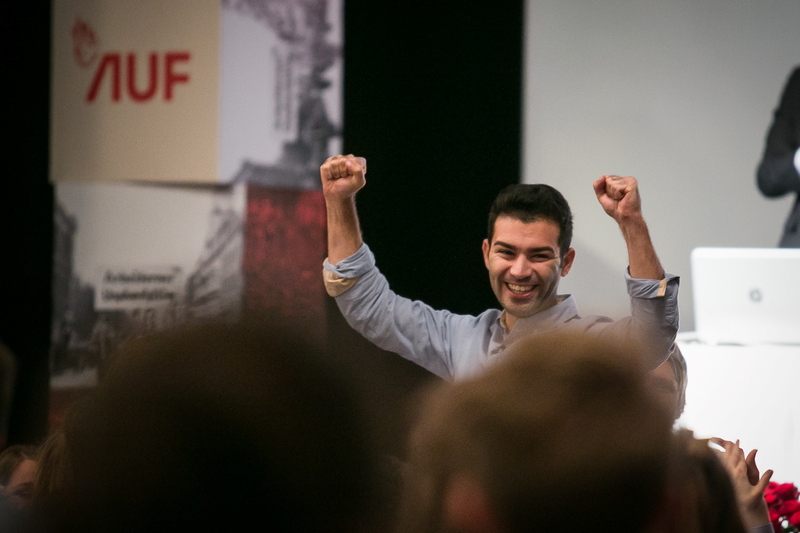 At first, the whole idea seemed kind of crazy: young people being able to change anything, but I soon understood AUF has the power to make that happen. Have you ever thought about being involved in the Kurdish Cause as well? And why? I have a heart for the Kurdish cause, due to my Kurdish background. And I will obviously contribute to put focus on the Kurdish cause wherever I have the opportunity to do so. After nominating you as the new leader of Workers’ Youth League, there were comments online based on your ethnic background, how did you go through that? On that day, I got hundreds of messages with congratulations and support. It gave me great motivation. If those who wrote such had met me and talked to me for 5-10 minutes, I think they would have believed that I’m a nice guy. Give me an example of how you’ve worked with people who did not share your philosophy or values. I do that every day, it’s a part of the democracy. How have you succeeded in your achievement as AUF leader? I am very proud and honoured to be president of the biggest youth party in Norway. I have been the president for only 6 months, so it’s a bit early to say anything about it. However, we have made a big influence and gained many new members, so we are on a good path. Do you wish to be Norway’s prime minister one day? You can never plan a political career. It must be the political vision that drives you, not the positions. Those who have this mindset will always get opportunities. If you weren’t a politician, what else would you have done as a job? Have you ever thought about coming back to Syria? Yes, but only for a visit. I thrive in Norway and have become accustomed to the cold. I do not think I’d bear the heat in Qamishlo. What is your sweetest memory of your hometown, Qamishlo? I have many, but the best memory is from March 21 every year I remember from Qamishlo, with bonfire, family and good food. Do you have any tips for the Kurdish youth worldwide? Be proud of your background, but also be open to become a part of your new homeland. Grab the chance when you get the opportunity. Posted in FEATURE and tagged #Feature. Bookmark the permalink.